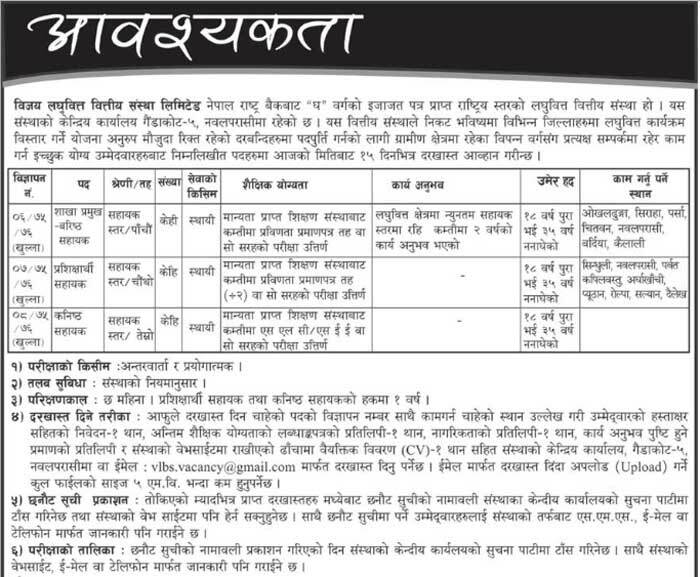 Jobs at Vijaya Laghubitta Bittiya Sanstha Ltd.
> Qualification: 10+2 or equivalent with 2 years experience in micro-finance field. > An application with vacancy code, location and application’s signature. > Attachments should not exceed 5MB in size.